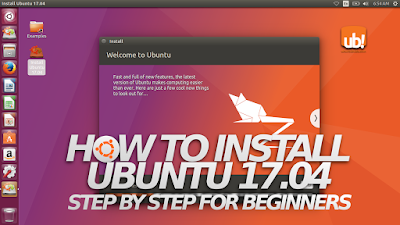 This tutorial shows how to install Ubuntu 17.04 Desktop in step-by-step. This tutorial is intended for new users with screenshot in each step so it will be very simple and quick. The installation itself takes only 10 minutes. For all new users, I wish this guide will be a good first-time experience for you. Finally, welcome to 17.04 and enjoy! You should prepare one installation media and two blank HDD partitions. Installation media: the best for today is bootable USB drive. 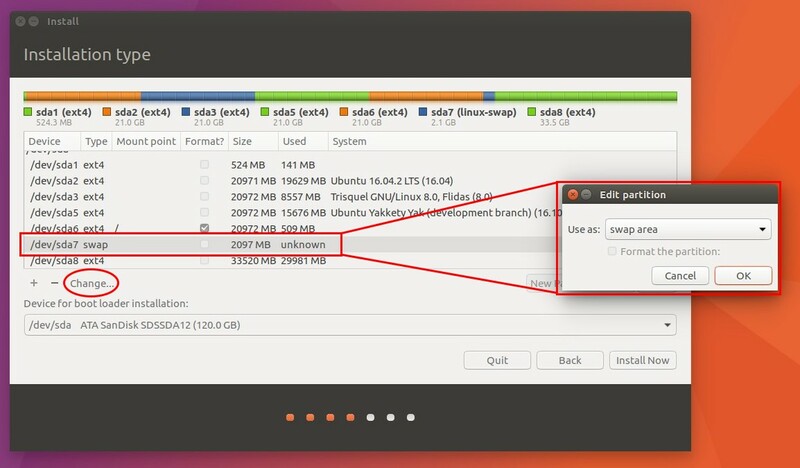 You can burn Ubuntu 17.04 image file using Unetbootin (GNU/Linux & Windows), or GNOME Disk Utility (Ubuntu built-in). You need at least 2GB blank USB drive to make it. Partitions: prepare one first blank partition as 20GB at least, and one second blank partition as 1GB. 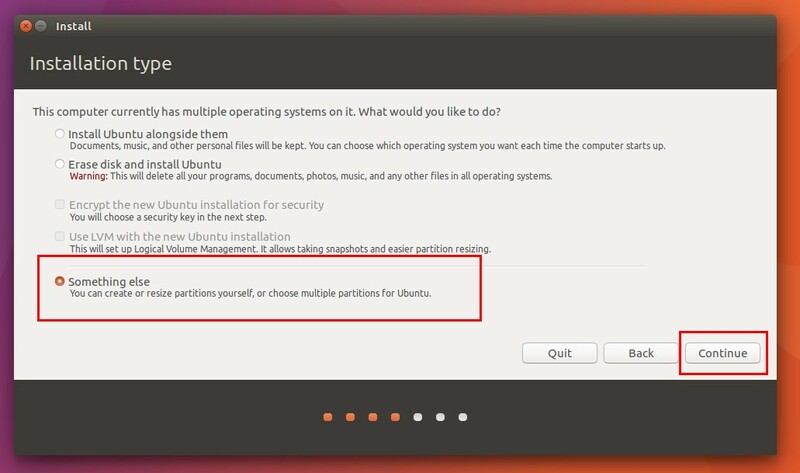 The first will be your main Ubuntu system partition, and the second will be swap partition. For this day computing, less swap should be safe for desktop. Example: I prepare a first partition /dev/sda6 20GB as main, and second partition /dev/sda7 2GB as swap (both are blank). I use my SanDisk USB drive 16GB as installation media. I finished installing 17.04 on my laptop Acer Aspire One 756. Warning: don't do anything you don't know! 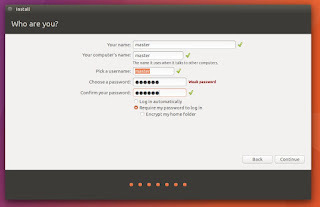 Make backup for your important data before installing Ubuntu. Don't be sleepy while installing. 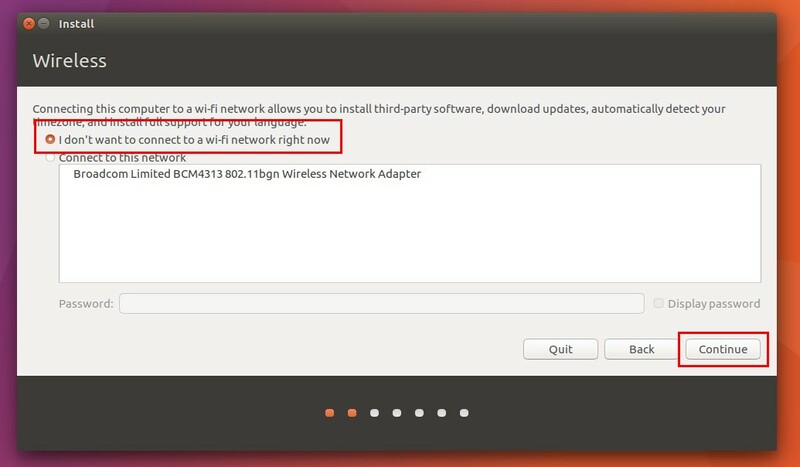 Ask somebody experienced in GNU/Linux installation to guide you directly at your place if you're confused. Do it at your own risk. Notes: I always recommend preparing partitions before the installation to avoid any disaster (e.g. accidental wipe out whole HDD). 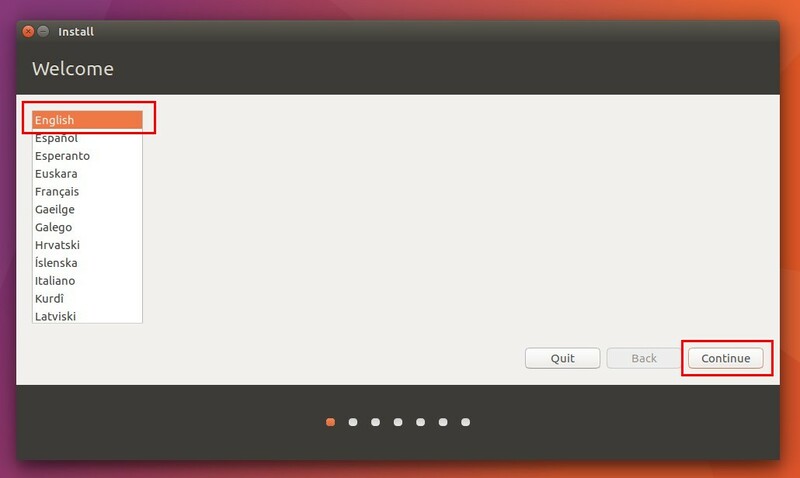 However, about swap it's actually your choice, you'll need swap (1xRAM) only when you need hibernate. 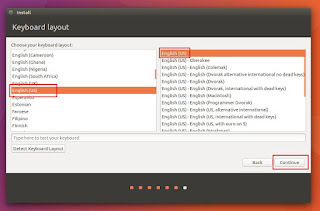 Please read AskUbuntu here. Now plug your USB drive in and reboot your computer to it. 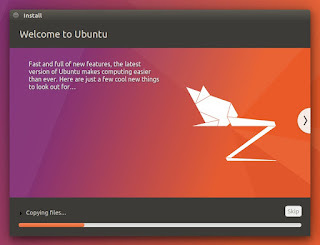 You should see Ubuntu Live Session running from your USB drive. 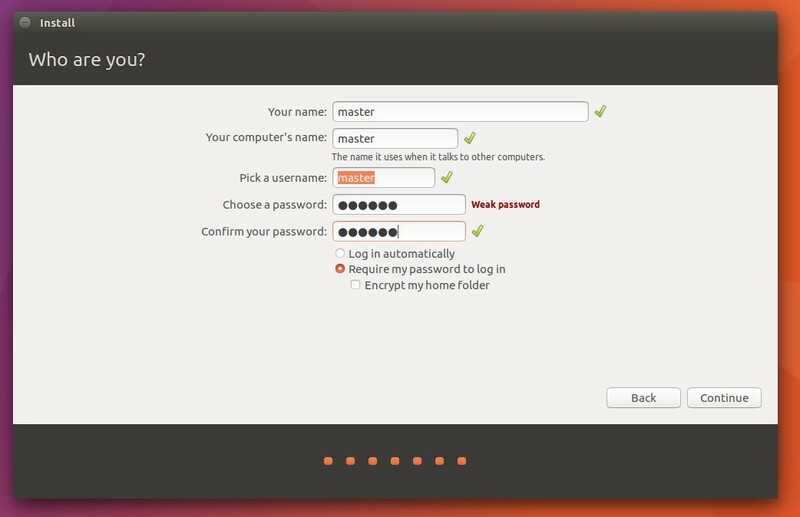 You'll be asked to "Try Ubuntu" or to "Install Ubuntu", then choose Try. First step: choose English. 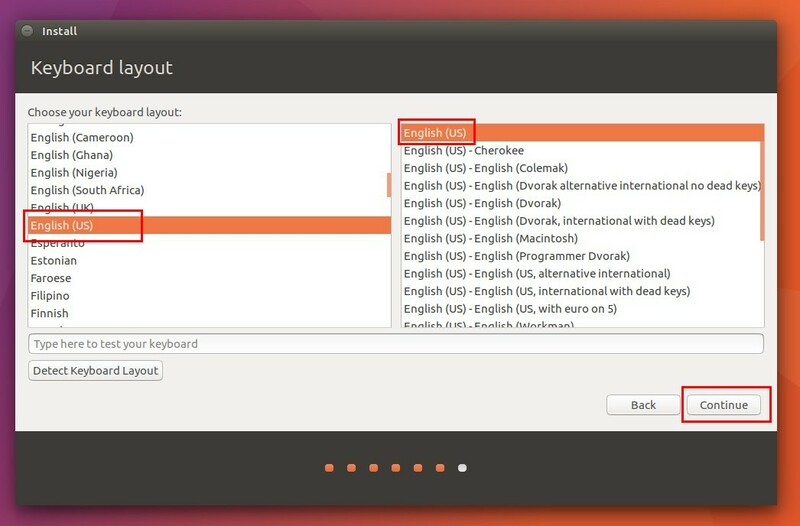 It's up to you to choose your mother language here, but this tutorial uses English. Second step: choose not to connect. Third step: choose not to download anything. Fourth step: choose Something Else. 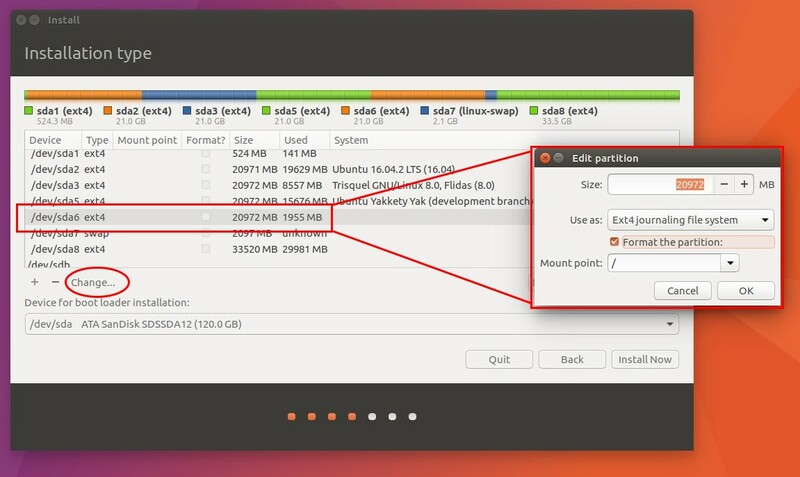 You get full control over your partitions if you use this. Fifth step: choose your prepared first blank partition and press Change button. In my example I choose my "/dev/sda6 20GB". In its dialog, choose Ext4 Filesystem + check on Format" + choose / (slash) as mountpoint. These will make main partition. Sixth step: choose your prepared second blank partition and press Change button. Determine this as swap. Then press OK. Seventh step: choose where the location for GRUB bootloader being installed. If your partition is like mine, /dev/sda6, then the correct location is /dev/sda. See the pattern, /dev/sda6 is a room inside /dev/sda; so if yours are different e.g. /dev/sdb9, then the correct location is /dev/sdb and so on. 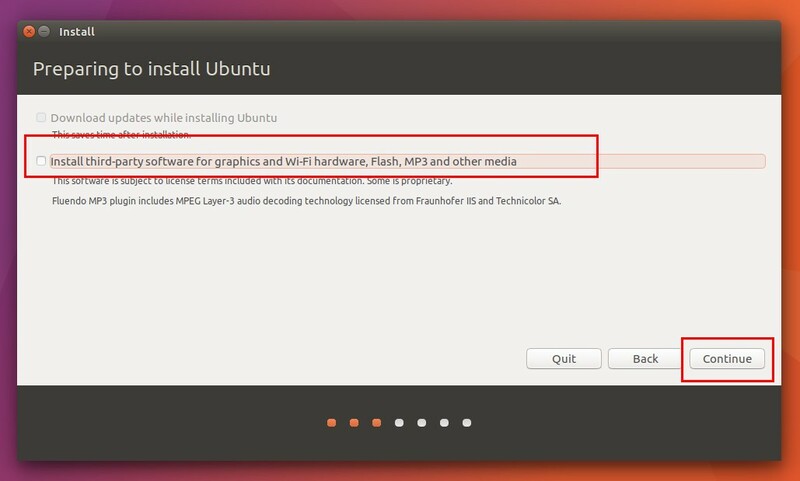 Eight step: click Continue Install and Ubiquity will perform all your setups above to the actual installation. You cannot go back after proceeding. Ninth step: after proceeding, you'll be asked for 3 info: your geographic location, your keyboard layout, your new username/password. These info are important. After filling these 3 info you'll see installation progress until it's finished. Ubiquity provides pictures slideshow to fill this time. Location: just click where your curent position is. This determines your local time (e.g. UTC) and local info (e.g. currency, numbering format). Keyboard: select your keyboard layout. Default choice is safe. Username: create your own username and password here. You may choose auto/manual login, too. Progressing: wait for 5 minutes or so for the system installer. Once finished, Ubiquity will notify that installation is done seccessfully. You may choose to stay at live-session or reboot. 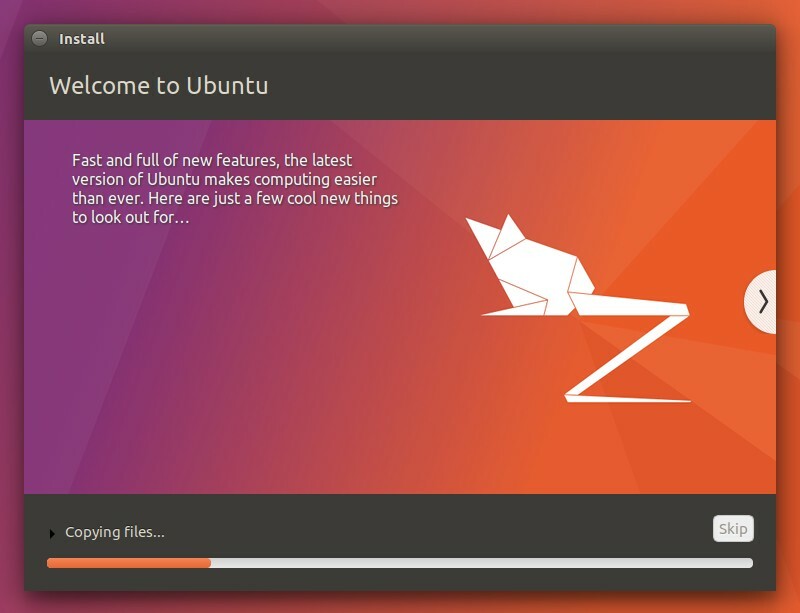 Enjoy Ubuntu 17.04!